Just as the world is divided into cat people and dog people, night owls and early risers, believers and skeptics, so is it divided into Team Pandoro and Team Panettone, and come Christmas in Italy each year, a deep rift rips through this country as everyone from toddler to elder declares their loyalty. These two icons of Italian holiday food are similar yet profoundly different, both just sweet enough to be served at breakfast or for dessert, both ubiquitous on supermarket shelves from late November through early January (but best purchased at artisan bakeries), and both exchanged as a holiday gift in the almost cliché way Americans once exchanged fruitcakes. Yet their subtle differences make them altogether two different cakes, each of which seems to be a love or hate proposition for many. As the name suggests, this cake has a golden crumb from its rich dough of white flour, eggs, butter, and sugar. The modern version is the culmination of centuries—if not millennia—of evolving “royal breads”, or baked goods made with expensive ingredients such as butter and eggs reserved only for the nobility who could afford such luxuries. It began to take form as Pandoro in the 1700s around Venice, one of the richest cities in Italy at the time and a major trading port for sugar, one of the cake’s primary ingredients. In nearby Verona, Pandoro became a local specialty, taking on the tall star shape it retains today and becoming a delicacy on aristocratic tables, until by the late 1800s, Domenico Melegatti patented the first industrial version. And here the decline of the Pandoro as a delicate, luxurious cake into a mass-produced, powdered sugar-covered junk food more or less begins. Indeed, those on Team Panettone often mock the Pandoro as a soul-less, insipid commercial atrocity (though they risking throwing stones from their glass houses, but more on that later), and if you limit your Pandoro knowledge to those bought at the supermarket, you may be inclined to agree. But before casting your vote, try a slice of artisan Pandoro from a pasticceria in Verona, where the simplicity of the batter lets the taste of fresh butter and eggs come through in this delicate and moist cake. Better yet, try a farcito version, with a custard or whipped cream filling. 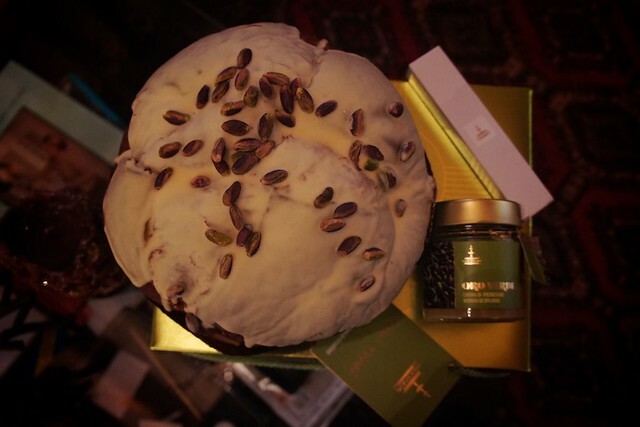 Before you decide for Team Pandoro, consider the noble Panettone. (Ahem. Not that we are anything but impartial.) Milan is, perhaps unfairly, not considered a particularly cuisine-rich city, but Panettone is one of its most important exceptions. The etymology of the name is debated, but the most commonly accepted version is that the augmentative “–one” suffix attached to panetto (a type of leavened cake) created the name “big cake”, referring to these towering muffin-shaped loaves. 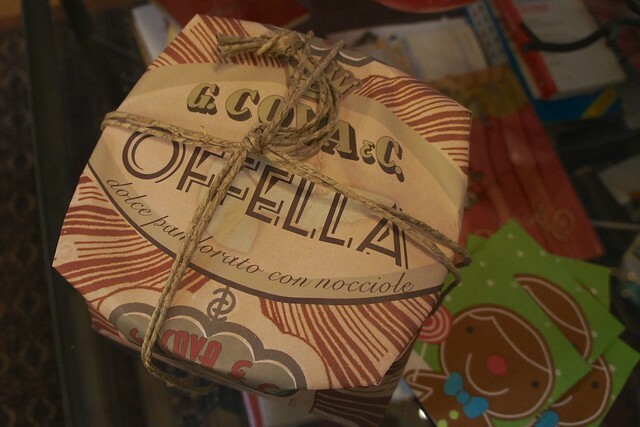 A standard baked Panettone can be 15 centimeters high, and the preparation takes several days as the yeast dough is similar to a sweet sourdough and must rise a number of times before a final proofing and baking. The resulting crumb is both light and chewy, yet dense enough to support the weight of its various added ingredients, from the classic candied orange peel and raisins, to dried figs and walnuts, chocolate chips, and a number of other more contemporary and gourmet variations. Just as industrial versions have tainted the reputation of Pandoro, so have they with Panettone...perhaps even more so. A supermarket Pandoro can be marginally edible, but a supermarket Panettone is simply awful...dry, bready, and heavy on the cheap additives like raisins and chocolate chips. 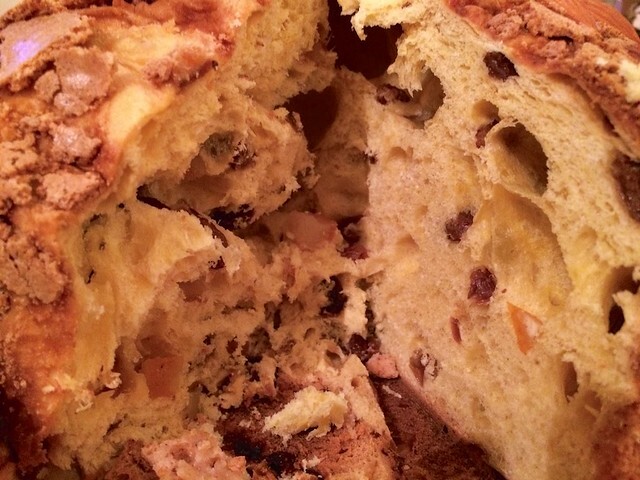 Before judging Panettone, splurge (because the best are expensive) on an artisanal version where the chewy, buttery cake is perfectly set off by the very best candied fruit or nuts and you’ll understand why Milan is fighting to have their traditional specialty recognized with DOP status.